One of our residential projects in Exmouth for a single storey rear extension to a Victorian Terrace House has been recently completed. Last week In Ex Design were able to go back to site to see the finished, furnished and decorated space. It is always invaluable experience for our design team to see the final results of all the hard work that goes into our designs. This project is another great result thanks to our amazing clients, outcomes like this would not be possible without the vision of our clients. Matt Round Photography undertook a photoshoot for the project, photographing the natural light filled living space created within the limited area. 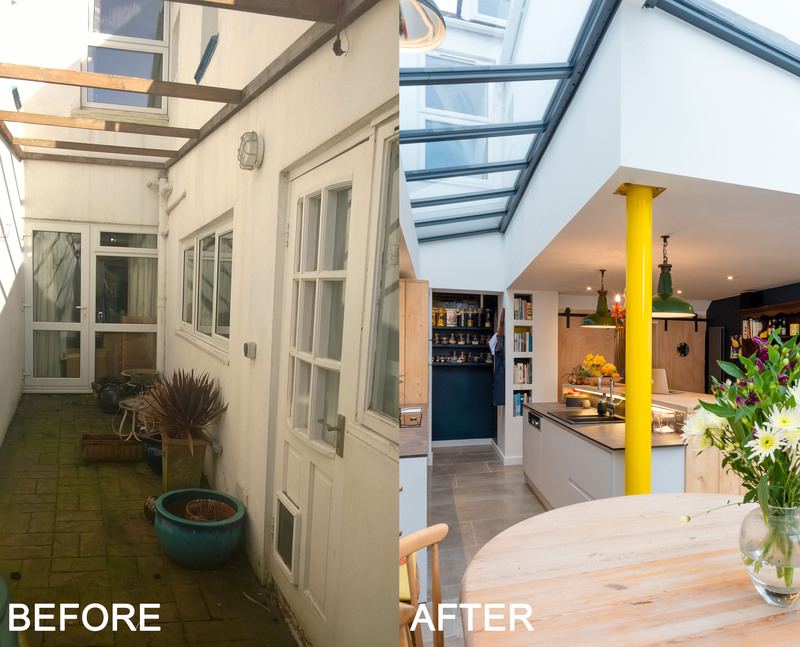 Our proposal utilised the existing empty space at the side of the property and replaced the existing rear extension to create a new open plan kitchen dining living space with access to the garden. The new space allowed the existing dining room to be reconfigured for much needed storage with a cloakroom, boot room and utility spaces. The extensions asymmetric roof line compliments the existing building, allowing the modern timber clad extension to fit seamlessly around the existing structure. To view the project photography and more project details see the Terrace House on our portfolio page.